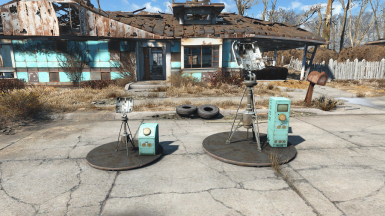 Workshop craftable Radar Stations for detecting enemies near a Settlement, with optional Drone Stations for enhancing defensive measures. 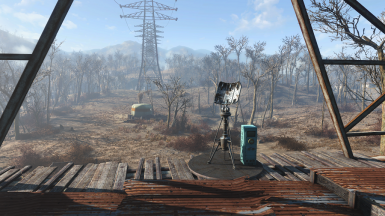 The purpose of Radar Stations is to make the presence and location of nearby enemies known to you - the Player Character - so that you can deal with them more effectively. 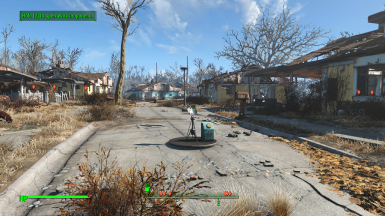 They are not intended to be a meaningful defensive measure when your Player Character is away from a Settlement. The game will "unload" playing areas ("cells") as the player character travels to more distant locations. 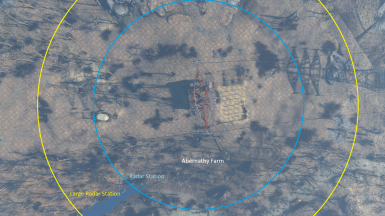 When that occurs for a Radar Station, it shifts into "Standby" and waits to resume scanning until its location is once again reloaded by the game. 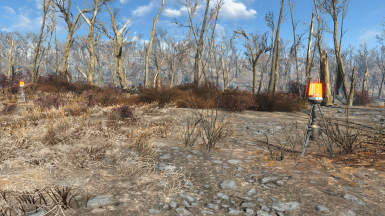 WARNING: This mod is not intended to be compatible with "bad guy" Player Characters. Might work, or might not. No support provided for being friendly / allied with "bad guy" NPCs. 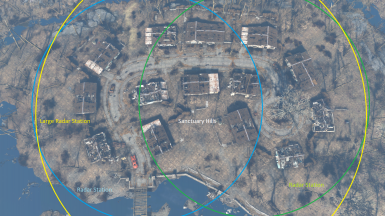 Place this mod's .ESP/.ESL file anywhere in the "Load Order" sequence. 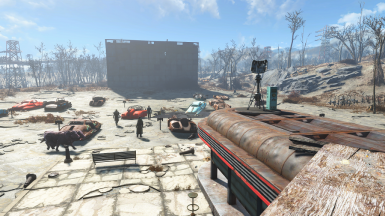 NOTE: Nexus Mod Manager (NMM) has been very buggy since April and does not always install things correctly. It also does not always enable/activate what it supposedly just installed. So after installing with NMM, check to see that the appropriate .ESP/.ESL file is both present and activated -- look for it within NMM's "Plugins" tab. Activate the file if it is not already selected. If the file is missing, then exit NMM, restart NMM, and then enable/activate the file which should now be present. 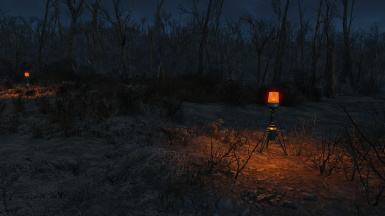 The newest NMM update can be found Here. • If you are not able to connect a power source to a Radar Station that has a Power Switch: create a new saved game, load that newly created saved game, and then try connecting the power source once more. Similarly if it can't be selected while in Workshop mode after being built. • When deployed, Radar Beacons will usually be placed on the ground, or in water, or even under water if the water is deep. 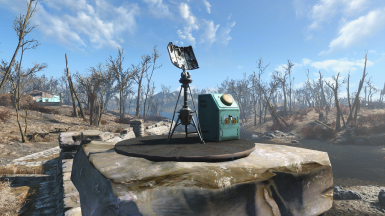 But some beacons can be on top of buildings or floating in the air. • Drone Base Stations must always be positioned on the ground -- not on walls or buildings. 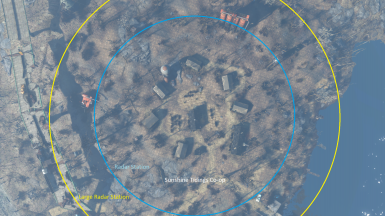 Drone Defenders may not attack enemies if their base stations are placed on walls or buildings. 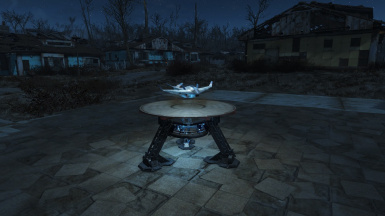 When built for settlements that are surrounded by walls or other obstacles, Drone Defenders may need their base stations to be placed outside those defenses in order to properly attack enemies. • Drone Defenders hover in the air a little above ground level as they move around, just like an EyeBot, with no significant change in altitude. So be sure to provide easy ways out of walled areas for the Drones to use as they go outward to attack enemies - because they can't fly over walls and barriers. Or simply position them to be just outside settlement walls and other fortifications. 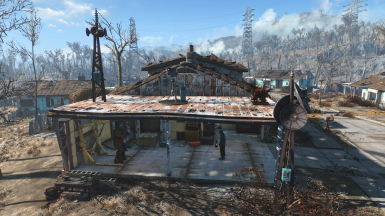 For actual up-in-the-air flying, try my miniature vertibird that also defends settlements: Whirligig Sentry. Uninstall with the mod manager that was used for the original install, or delete the .ESP and .BA2 files.